Barcelona is a city steeped in history and conflict. It has been a garrison city of the Roman Empire, the leading power of the Mediterranean, the battleground of international wars, an industrial power, and the largest holdout against fascism in the Spanish Civil War. The Catalan capital has been bombed and besieged, and has raised itself from the rubble time and time again. Its history is inseparable from the history of Catalonia itself, and the development of each has deeply impacted the other throughout the centuries. This book chronicles the social, political, cultural and urban development of a city that has played an important role in the history of Europe. 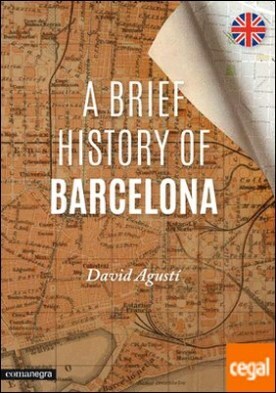 From the footsteps of the first man on the Catalan coast it reveals Roman Barcelona, Islamic Barcelona, the citys historic defeat in 1714, the age of steam, the hardships of the Civil War and the subsequent transition to democracy after Francos dictatorship. Always a symbol of liberty and a mosaic of cultures, the city exists as it does today thanks to the tireless efforts of its citizens, throughout the centuries, to make it ever bigger and better.